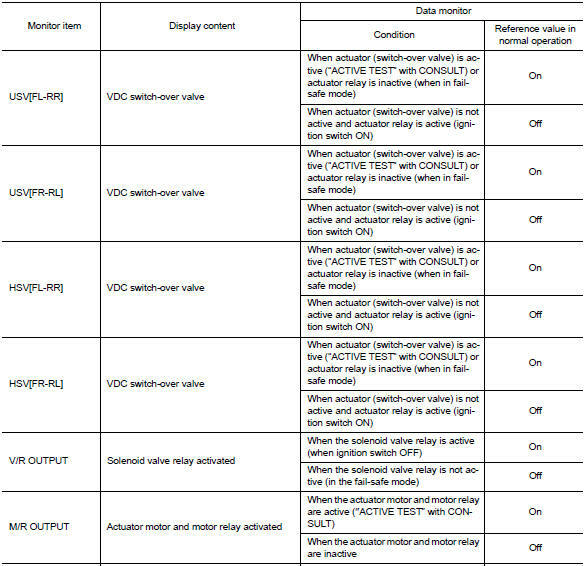 The display shows the control unit calculation data, so a normal value might be displayed even in the event the output circuit (harness) is open or short-circuited. 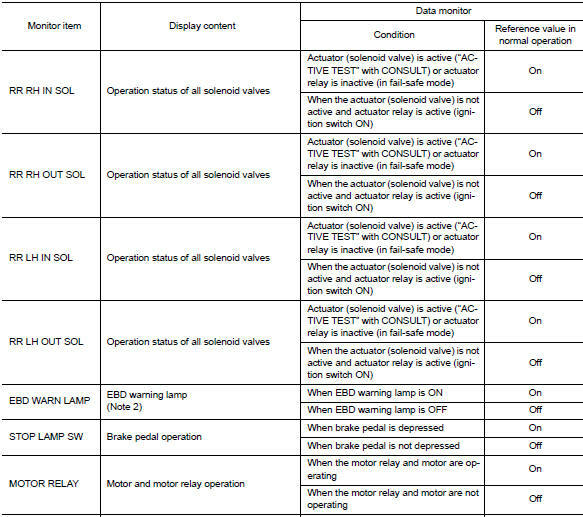 : On and off timing for warning lamps and indicator lamps. 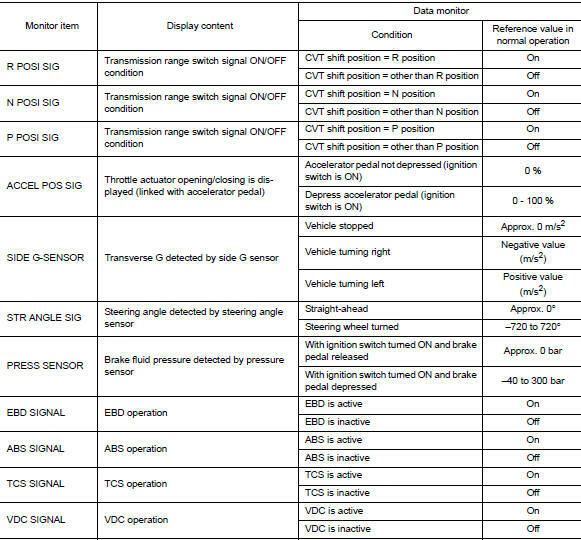 Refer to BRC-22, "VDC/TCS/ABS : VDC Function". 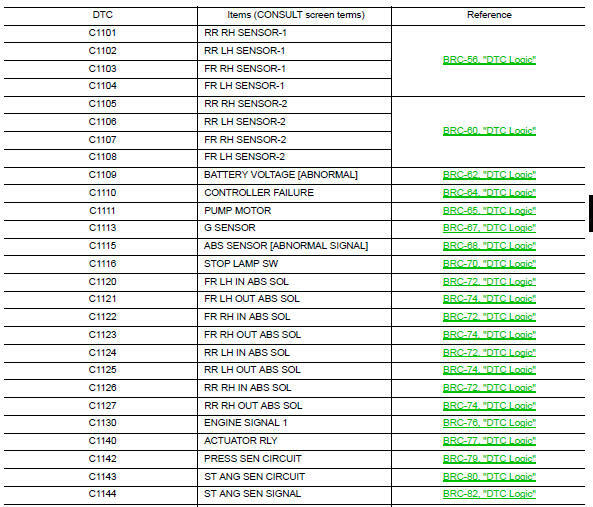 Refer to BRC-24, "VDC/TCS/ABS : TCS Function". 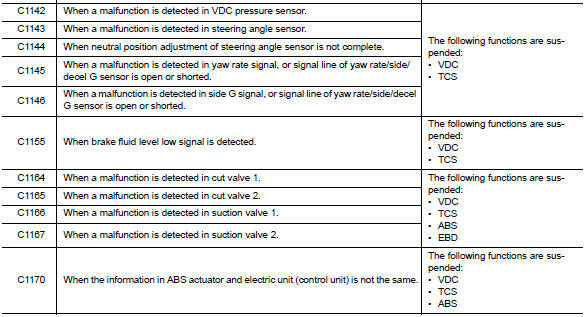 Refer to BRC-26, "VDC/TCS/ABS : ABS Function". 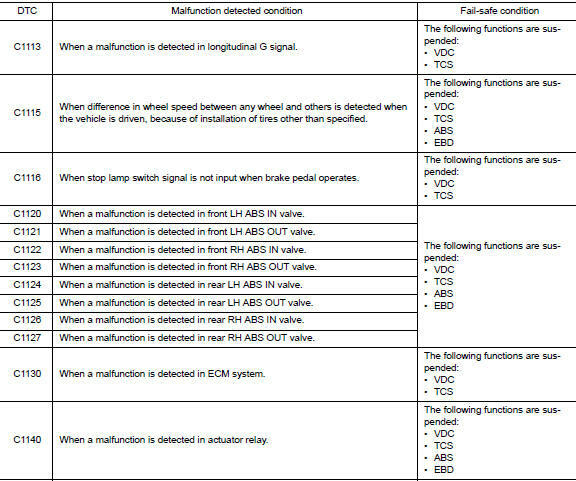 Refer to BRC-27, "VDC/TCS/ABS : EBD Function". 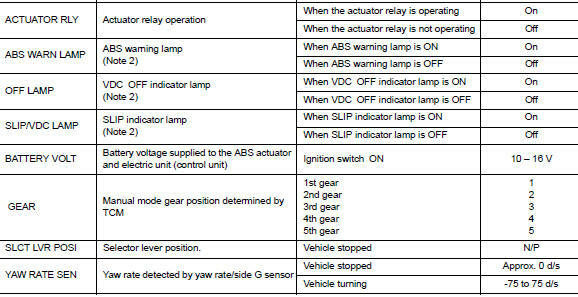 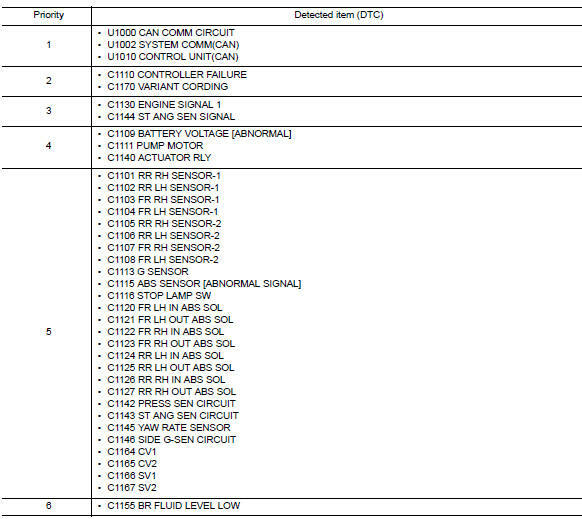 ABS warning lamp, brake warning lamp and SLIP indicator lamp in combination meter turn ON when a malfunction occurs in system [ABS actuator and electric unit (control unit)]. 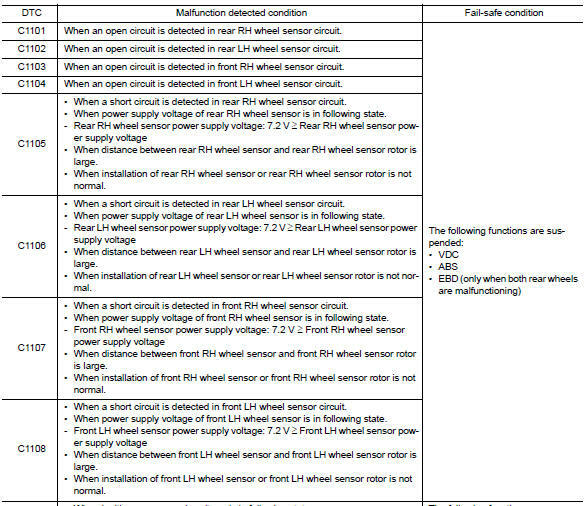 The control is suspended for VDC, TCS, ABS and EBD functions. 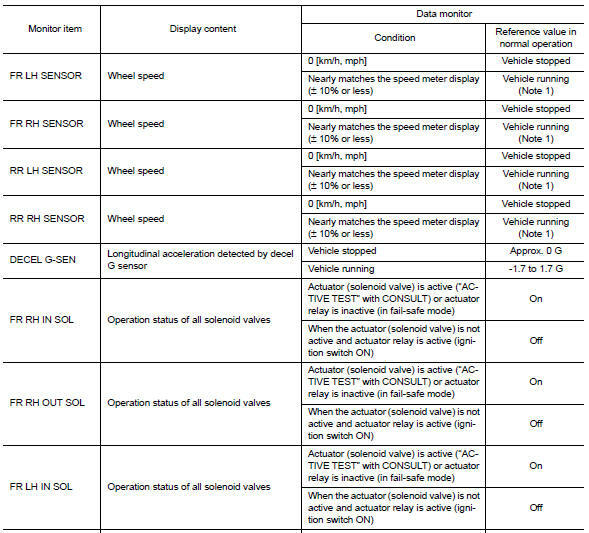 When multiple DTCs are displayed simultaneously, check each one using the following priority list.